Don’t miss the opportunity to hear Congressman Mike Fitzpatrick's perspectives on leadership, a subject core to what we do as CEOs. 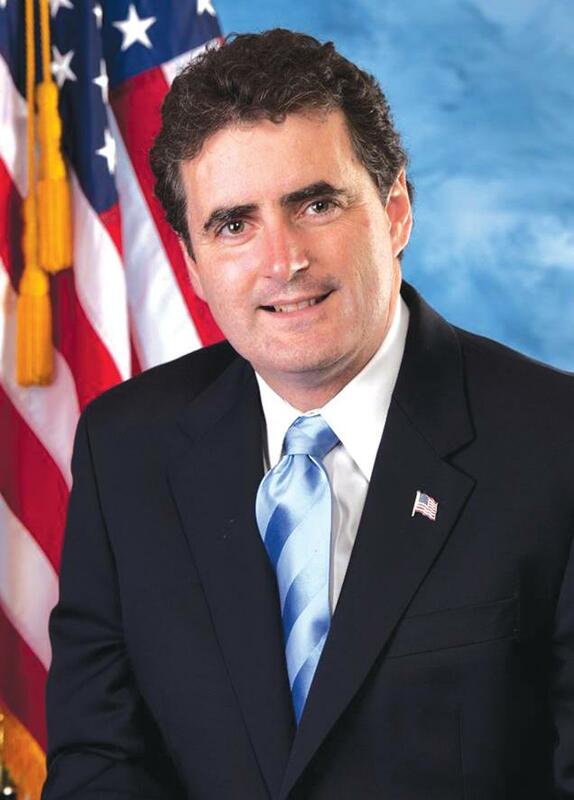 Rep. Fitzpatrick represents Pennsylvania’s 8th district in the US House of Representatives and is a member of the House Financial Services Committee, serving as vice chair of the Subcommittee on Oversight and Investigations. Mike will discuss with us his successes and challenges faced in the context of leadership and share insights that we, as leaders, can apply to current business practices. Additionally, the Congressman will give an update on current events in the nation's capital and insight into legislative efforts impacting local business and management. Through the Leadership Series events, CEO Trust regularly brings in speakers with unique leadership expertise and experience from business, sports, government, the military and more. Michael G. "Mike" Fitzpatrick is an American politician and member of the Republican Party who serves as the U.S. Representative for Pennsylvania's 8th congressional district. A lifelong resident of Bucks County, he has been an active member of his community for decades. In the 114th Congress, Mike’s number one priority is job creation. Mike recognizes that government does not create jobs, but fosters an environment in which the private sector can create permanent, family sustaining jobs. Mike graduated from Bishop Egan High School in Fairless Hills and earned his bachelor’s degree while working his way through St. Thomas University in Miami, Florida. Upon graduation, Mike was awarded the university's highest service award. Following graduation, Mike returned to Pennsylvania and in 1988, he graduated from Penn State's Dickinson School of Law. While attending law school Mike was the Business Manager of the Dickinson Journal of International Law. Mike is admitted to practice law in both Pennsylvania and New Jersey. In 1995, Mike was appointed to the Bucks County Board of Commissioners where he served for ten years. As a Bucks County Commissioner Mike was a champion of responsible county social service programs, job creation and efficient government administration. He fought to preserve over 11,000 acres of beautiful farmland, parkland and critical natural areas. His record on open space earned him recognition from a variety of environmental organizations, including the Greenspace Alliance. During his time as Commissioner, Mike led the fight to establish the county’s first Enterprise Zone, a project that eventually led to the creation of over 4,000 private sector jobs in Bucks County. As a Member of the 109th Congress Mike demonstrated himself to be an independently- minded advocate for his constituents. He fought for stronger borders, lower taxes and smaller budget deficits. Locally he worked successfully to bring the National Veterans’ Cemetery to Bucks County. Mike was also instrumental in flood mitigation efforts along the Neshaminy Creek watershed, which had been plagued by persistent flooding. Mike returned to Congress in 2011 after practicing law in Bucks County focusing on representing small businesses and local governments. Mike has been married to his wife Kathy for 24 years. They have six children and one grandchild. An Eagle Scout, Mike has remained active in Scouting and is a past-President of the Bucks County Council of the Boy Scouts of America.